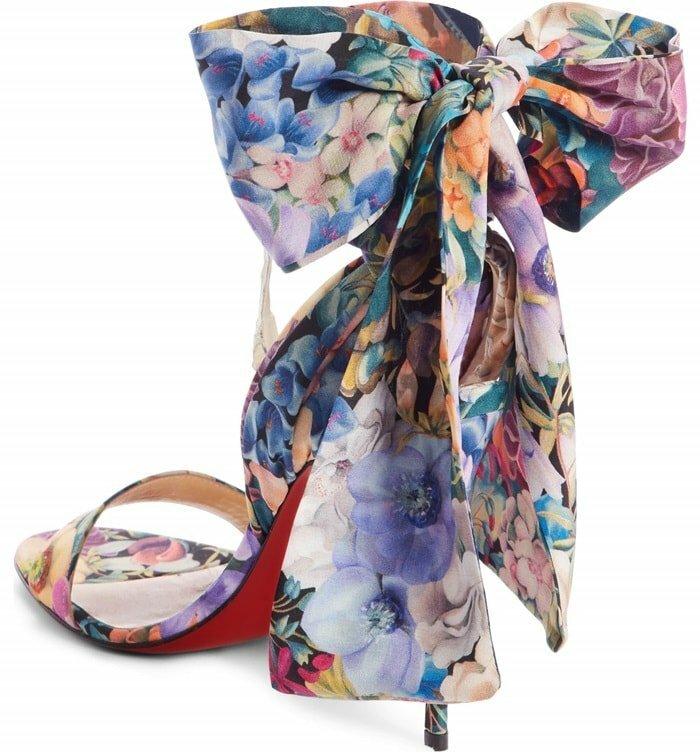 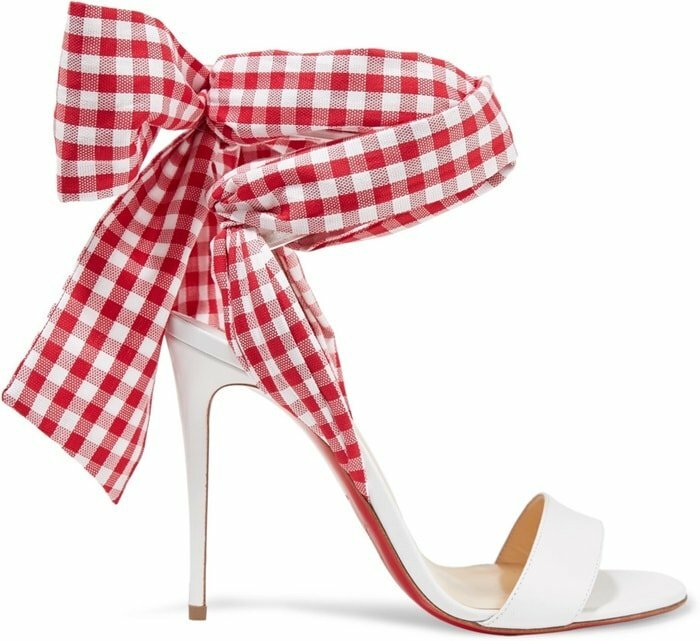 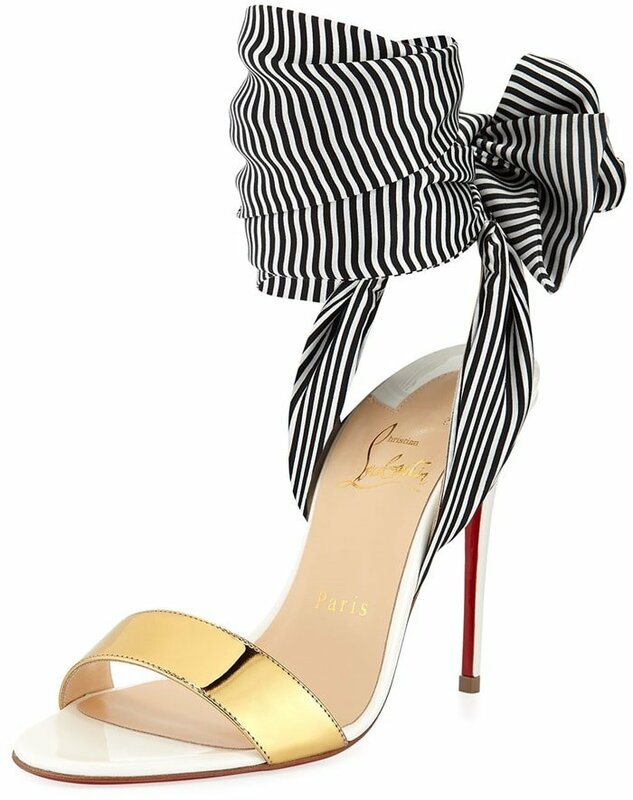 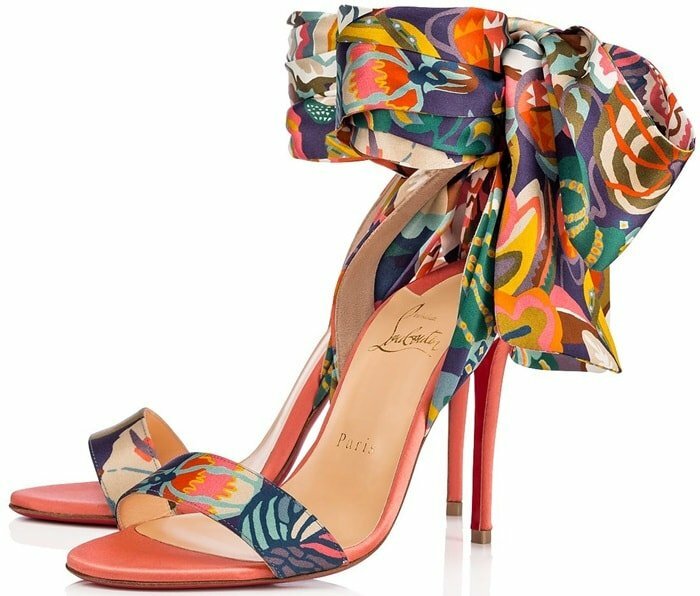 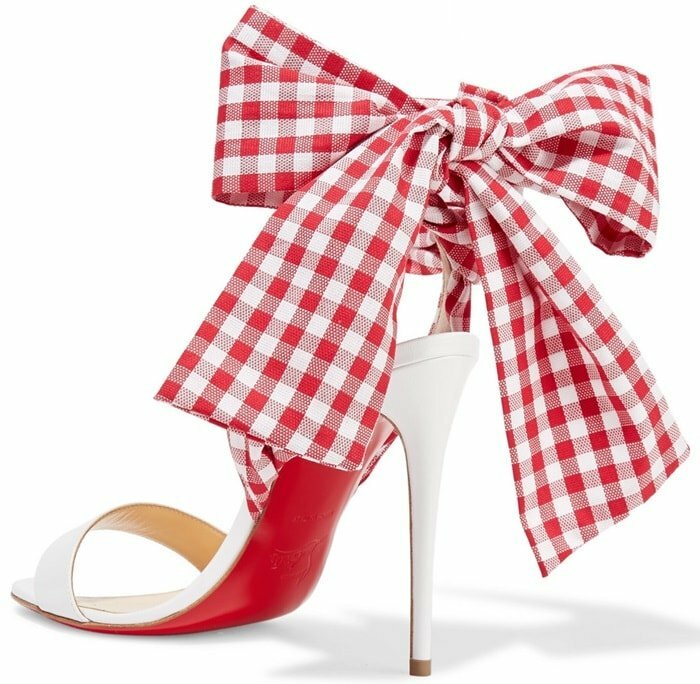 Clearly inspired by the “Douce Du Desert” pumps, the Sandale Du Desert sandals from Christian Louboutin with back tie ankle scarf are now available in a wide range of colors at Barneys New York, Net-A-Porter, Saks Fifth Avenue, Neiman Marcus, and Nordstrom. 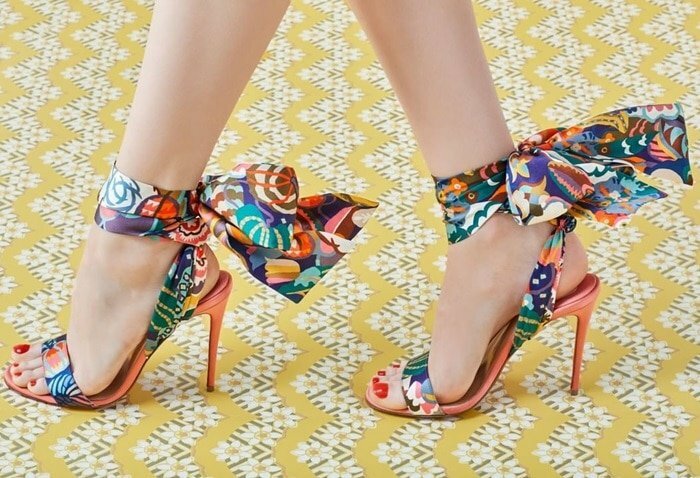 Which version is your favorite? 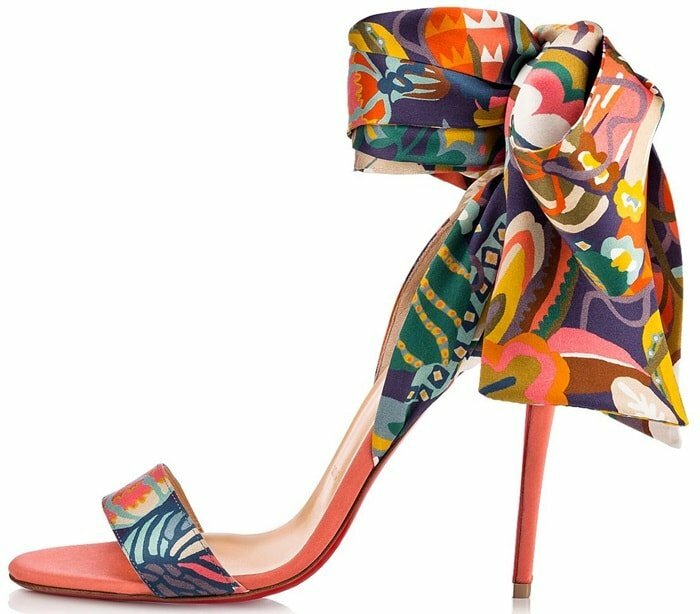 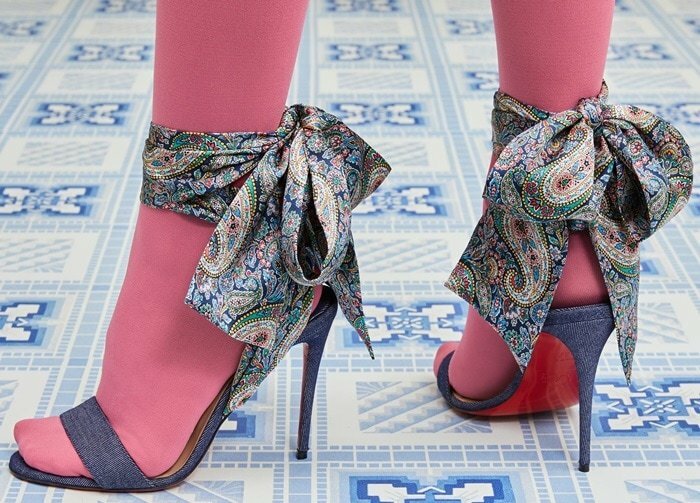 Sculptural and slender, this sandal is a show of refined elegance with a magnificent satin ankle scarf in a predominantly peachy-pink Liberty print inspired by 1970s wallpaper. 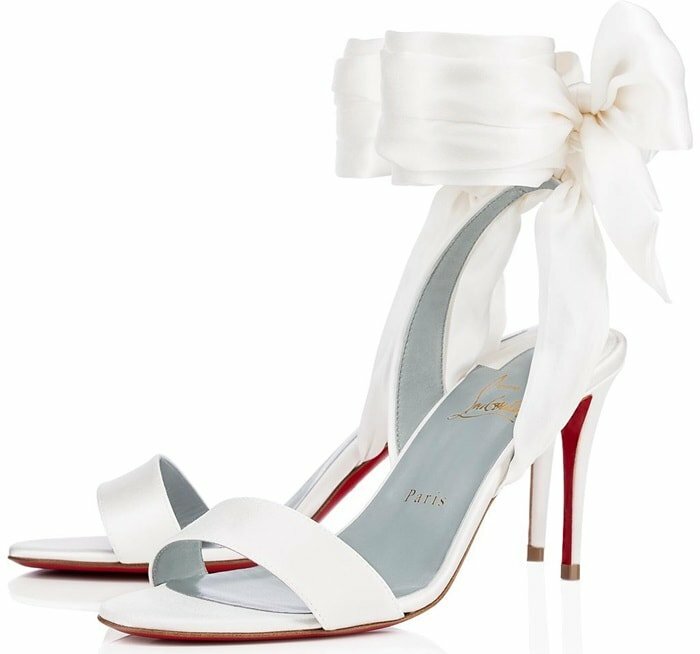 The satin-wrapped 100mm stiletto heel creates an audacious arch that reveals the foot in all its beauty. 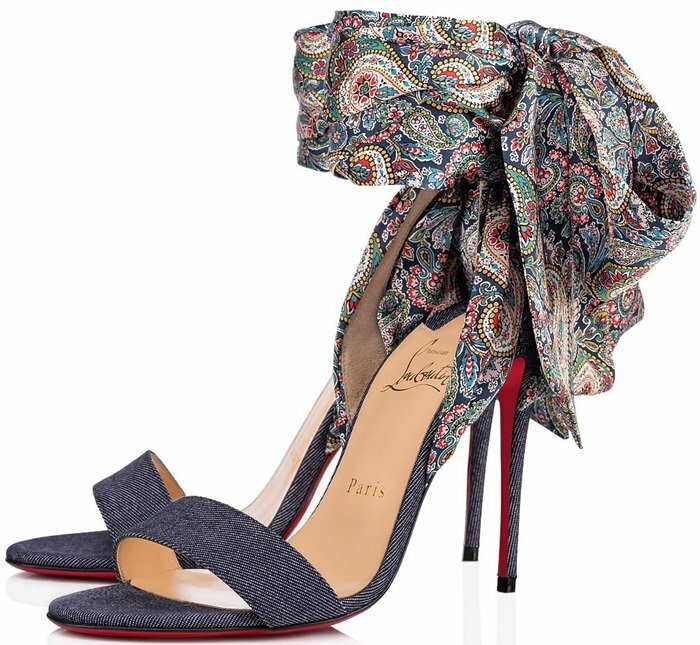 This colorful pair features an open toe and a leg lengthening, denim-covered stiletto heel. 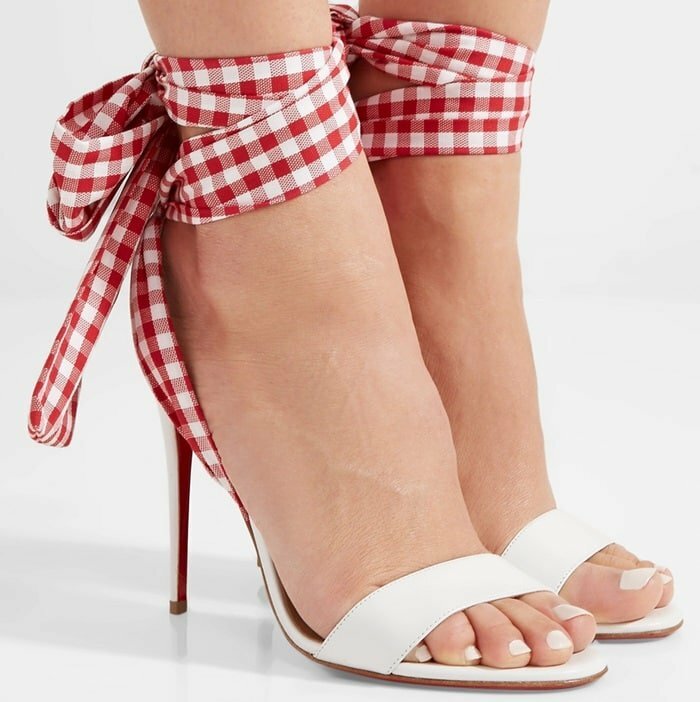 These French Riviera-inspired shoes have been made in Italy and topped with gingham canvas ties that wind around your ankle and tie into a pretty bow. 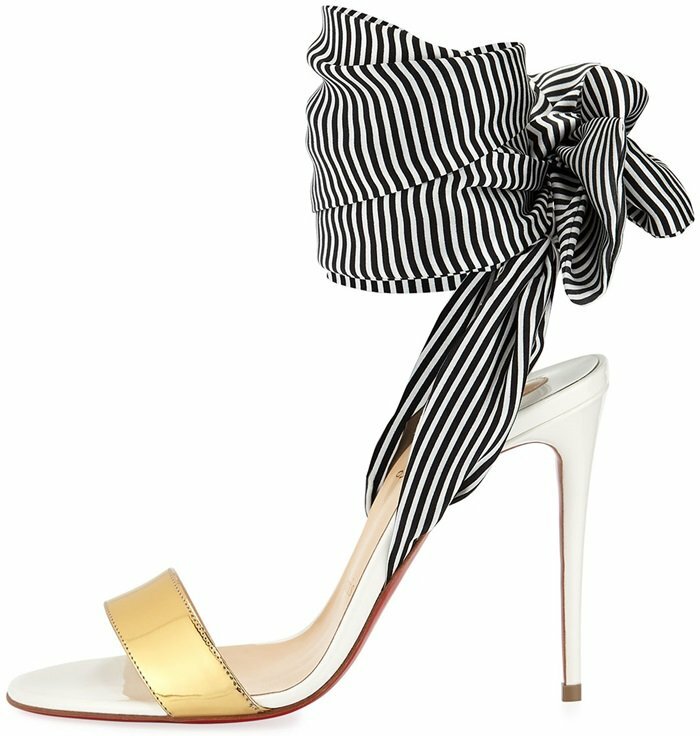 The insole has plenty of cushioning to balance the 100mm stiletto heel. 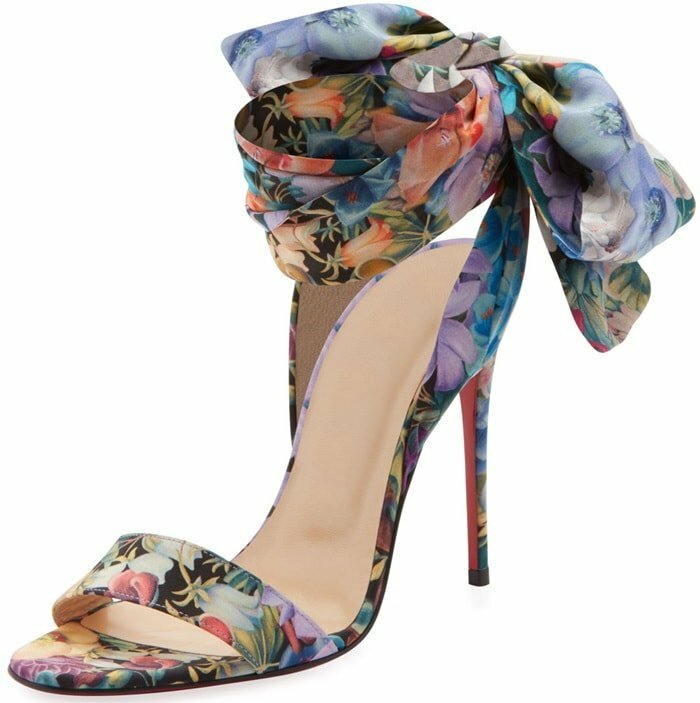 Romantic blooms enliven an elegant sandal crafted from luxurious silk with wide, scarflike straps that wrap around and tie at the ankle. 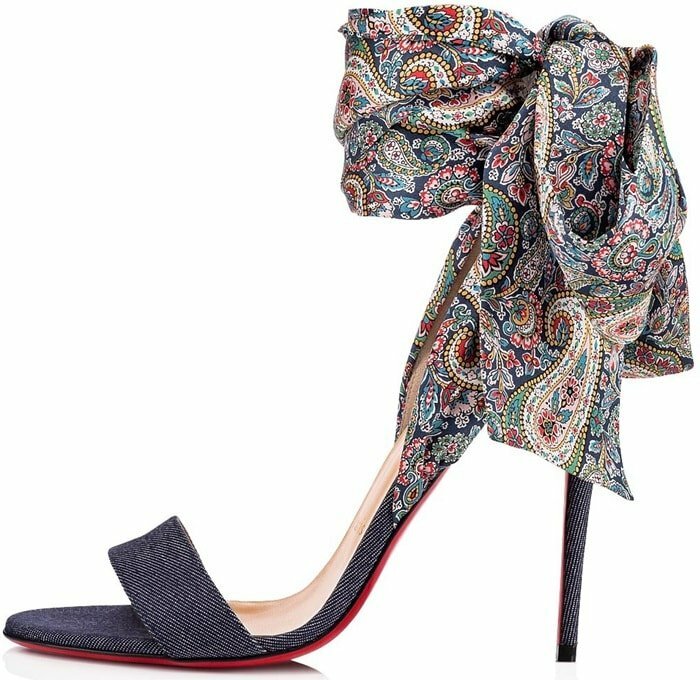 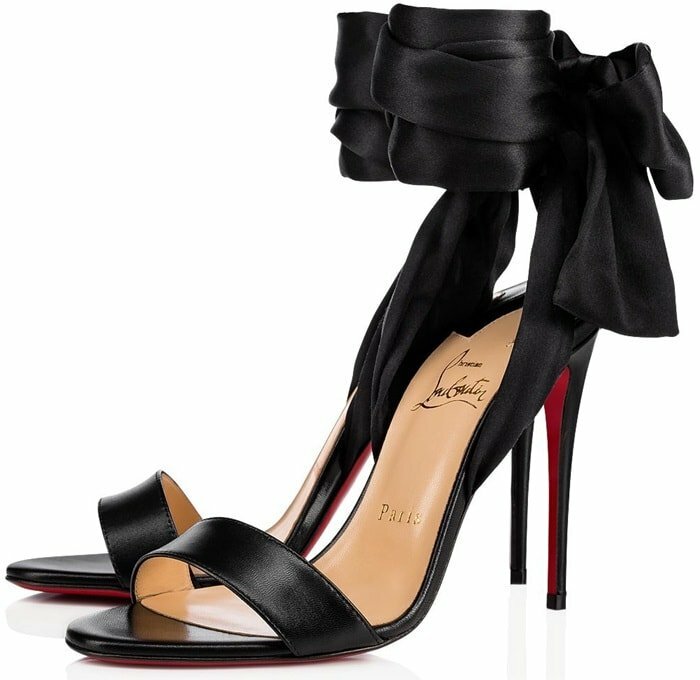 With its crepe satin ankle scarf, Christian Louboutin’s black kidskin Sandale du Désert evokes a Middle Eastern woman’s light and airy veil. 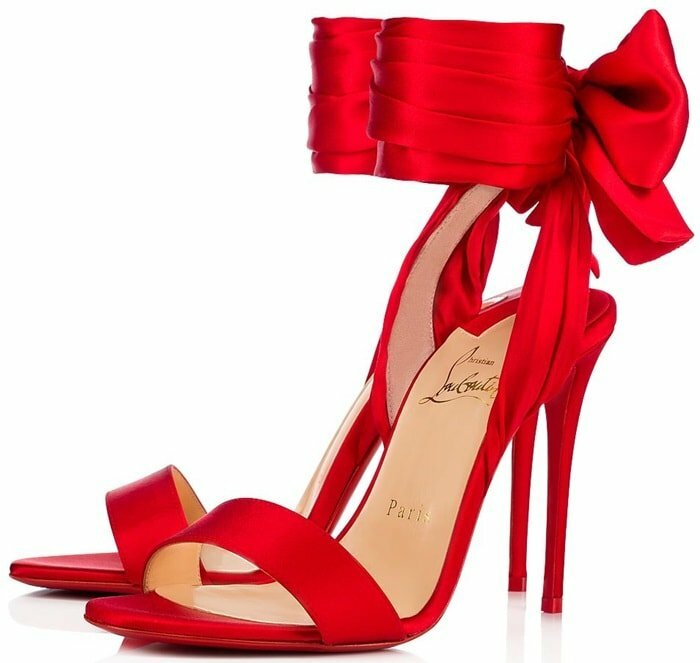 Crafted in signature vibrant red. 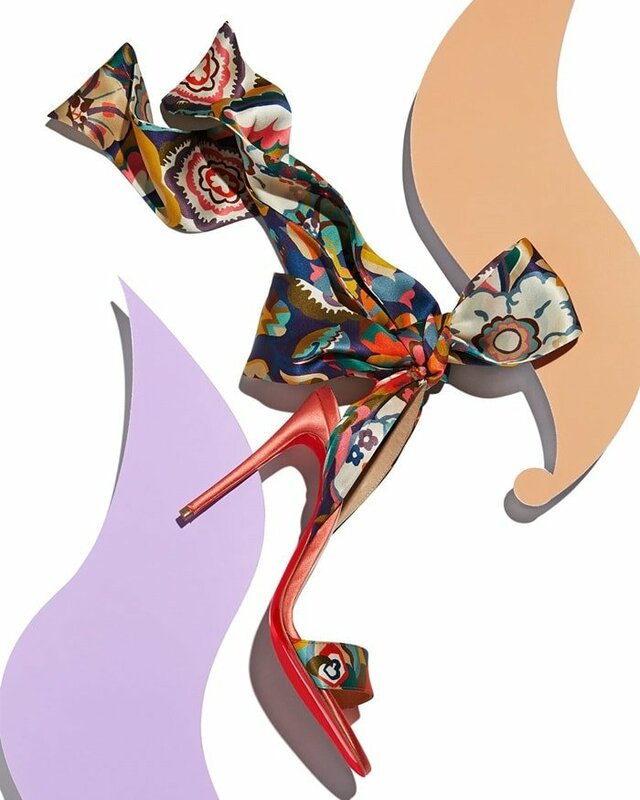 The 100mm stiletto heel creates an audacious arch that reveals the foot in all its beauty.